Vinyl used throughout the conversion. 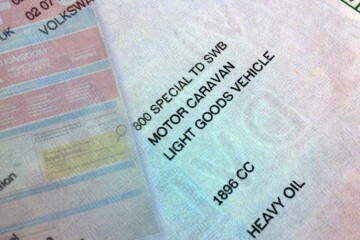 While plan­ning the con­ver­sion of my van, I knew that I want­ed to get away from the grey inte­ri­or that comes as stan­dard on a pan­el van. See­ing how oth­ers had done this, I noticed a lot of peo­ple had used paint to get results. Some look good but I was always wor­ried about chips or flak­ing, espe­cial­ly as the tem­per­a­ture can get very high inside on a summer’s day. 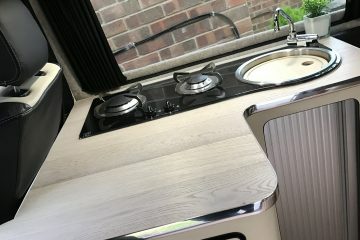 I was also try­ing to go for a man­u­fac­tured look and was look­ing to use plas­tic trim as much as I could, but this has colour prob­lems of it’s own. I pur­chased the Trimtech kit to cov­er the B pil­lars and slid­ing door rail, as you can see from the fol­low­ing pic­ture, the greys are not even the same. 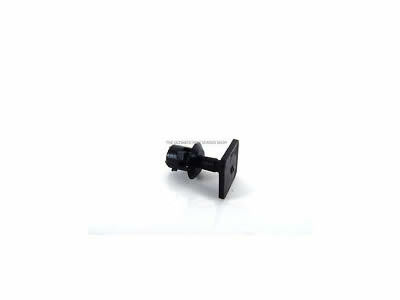 An image show­ing the Trimtech plas­tic trim. As men­tioned in my pre­vi­ous post, the style I was try­ing to achieve was sim­i­lar to the Range Rover sport black and ivory inte­ri­or, hope­ful­ly giv­ing more of a pres­tige look rather than sporty so noth­ing seems to say pres­tige more than leather. Of course trim­ming the vehi­cle in leather, though maybe pos­si­ble, would be very expen­sive and tricky, def­i­nite­ly beyond my skills. The solu­tion was to use vinyl. 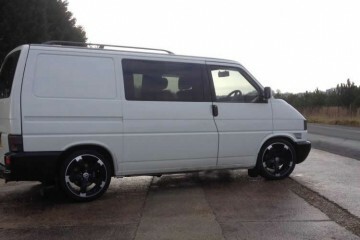 I found a sup­pli­er online who had exact­ly the colours and style I want­ed, AS-Trim. 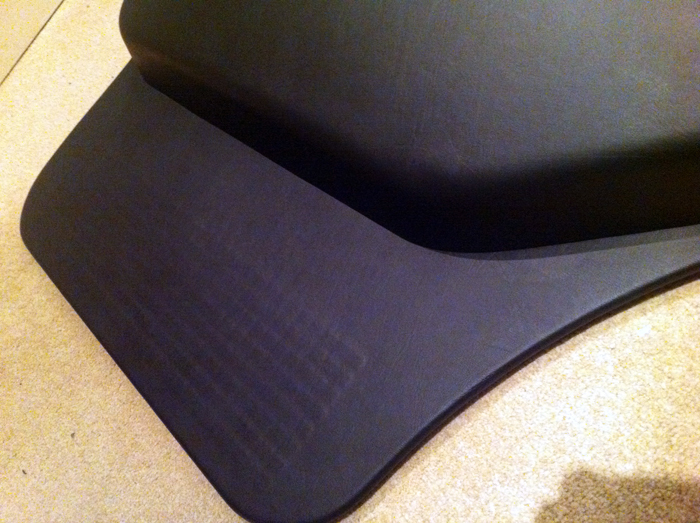 I pur­chased the smooth grain leather effect vinyl and con­tact adhe­sive. My idea for the door cards was orig­i­nal­ly designed on Pho­to­shop com­bin­ing the black and ivory vinyl to give a slight­ly less builders van look. I had pre­vi­ous­ly worked as a sign fit­ter so had a bit of expe­ri­ence in fit­ting vinyl, though this was much thick­er than what I was use to. The first thing I worked on was the grab han­dles, with a lot of patience and the use of a heat gun, I man­aged to work the vinyl around the edges of each half of the grab han­dles, end result is a com­fort­able to the touch leather like han­dle. 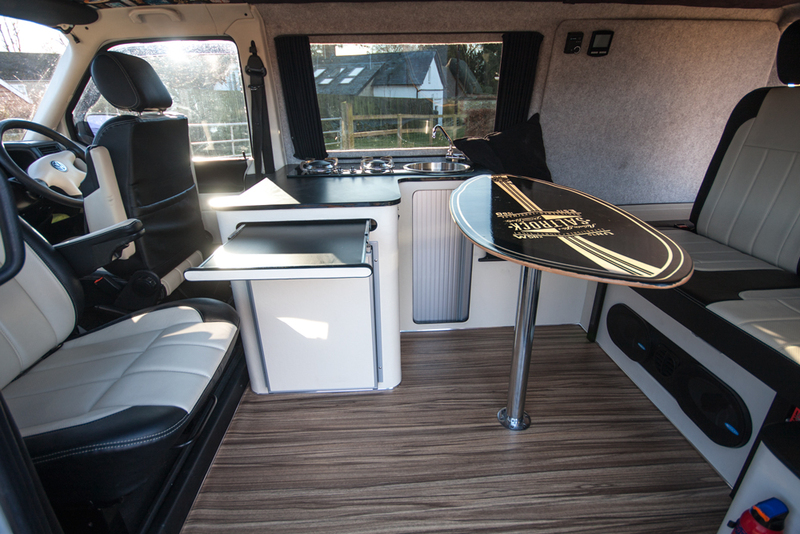 With the slight extra gap caused by the vinyl, they need a good bang­ing togeth­er to stick, but it does work. 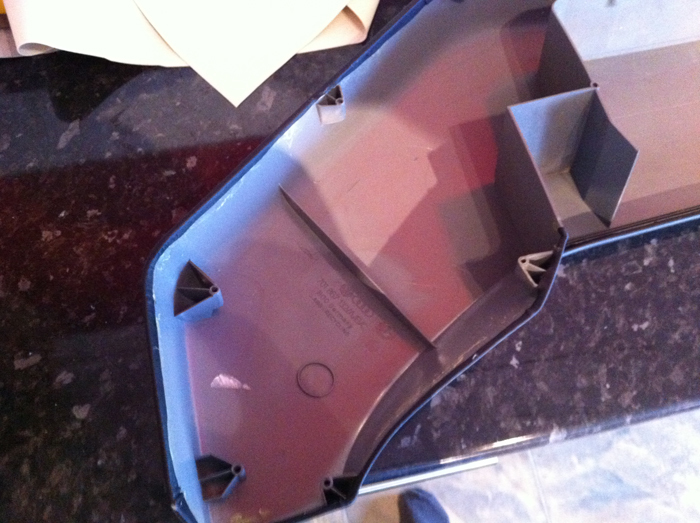 I want­ed to achieve the Car­avelle style padded sec­tion at the top, in order to achieve this I marked out an area to cut from the door card using a per­ma­nent mark­er, I then cut this out using a dremel. 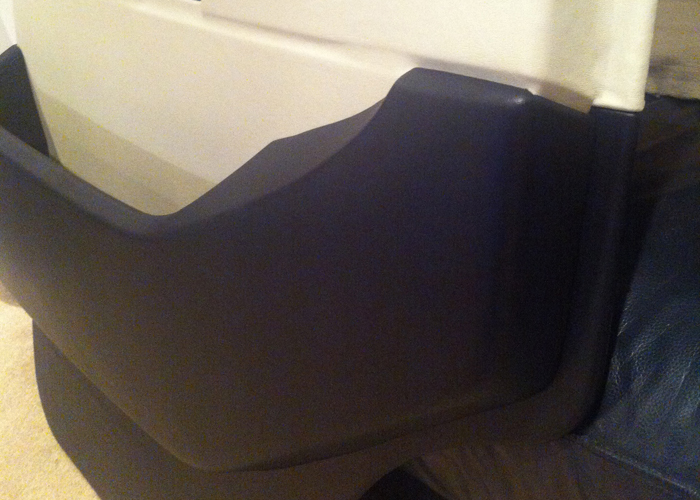 The Car­avelle style arm rest area. Once I had two pieces, I need­ed to cre­ate a lip for the cut-out to stick back onto when it was fin­ished, this was made from fiber­glass. To do this, I cov­ered the back of the cut-out in foil tape and veg­etable oil so that the fiber­glass would not stick to it, then taped it back onto the door card. 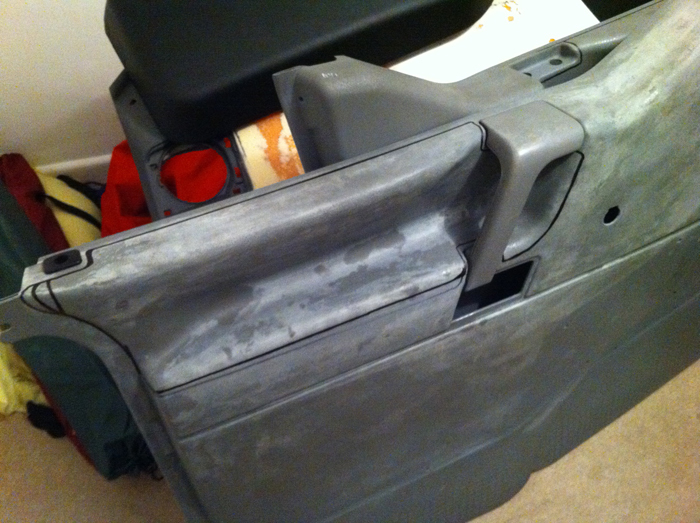 The fiber­glass was then placed around the edge on the back of the door card and as it mold­ed around the cut-out, it gives a good lip for it to sit back on. Once the fiber­glass was set, the cut-out could be removed, ready for cov­er­ing. To give it a padded feel, I used scrim foam (also avail­able from AS Trim) under­neath some black leather effect vinyl, tuck­ing it around the edges of the cut-out. Once that was all done, I stuck the cut-out back into place on the fiber­glass. 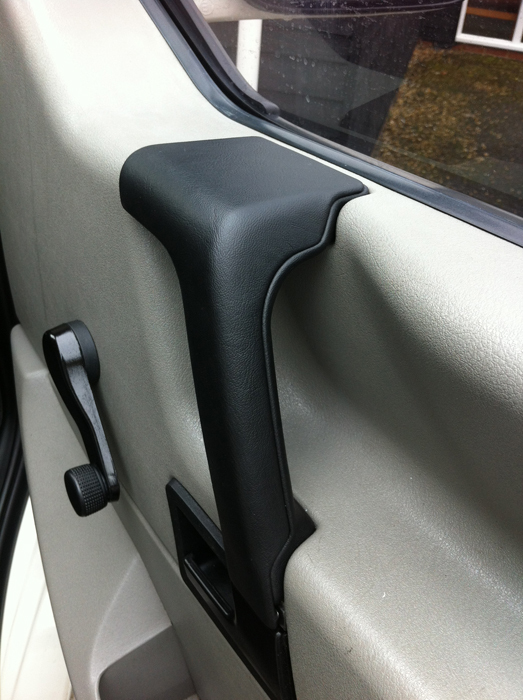 I had a cou­ple of clips lying about which I used to posi­tion the arm rest sec­tion onto the door card and some con­tact adhe­sive too. 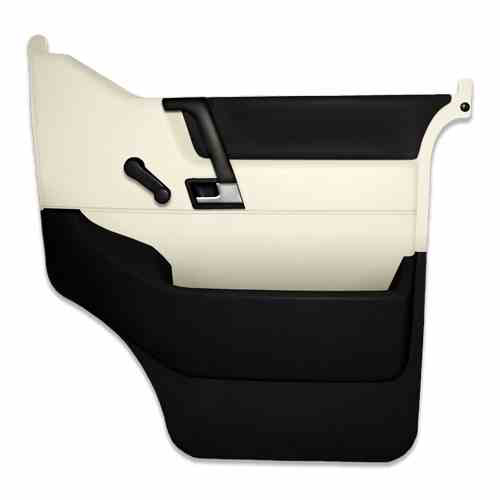 The vinyl that cov­ers the main part of the door card would not stretch inside the arm rest area unless I cre­at­ed the arm rest area any­way, so besides giv­ing some nice detail, it is essen­tial when using vinyl. 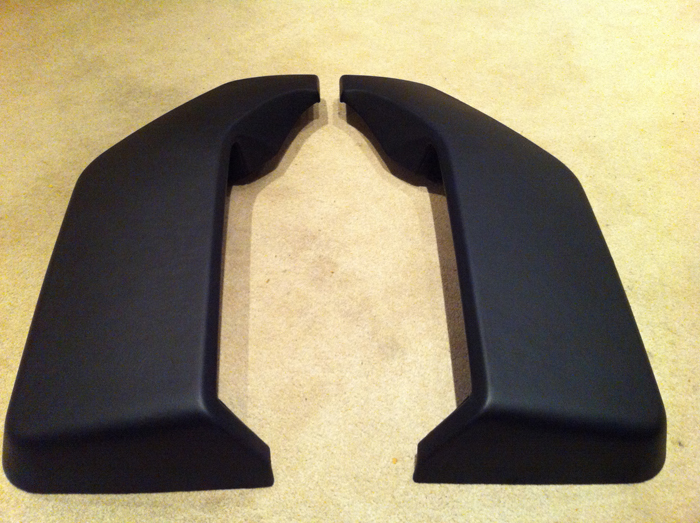 I need­ed to find a point on the door card to join the ivory vinyl at the top with the black vinyl at the bot­tom. 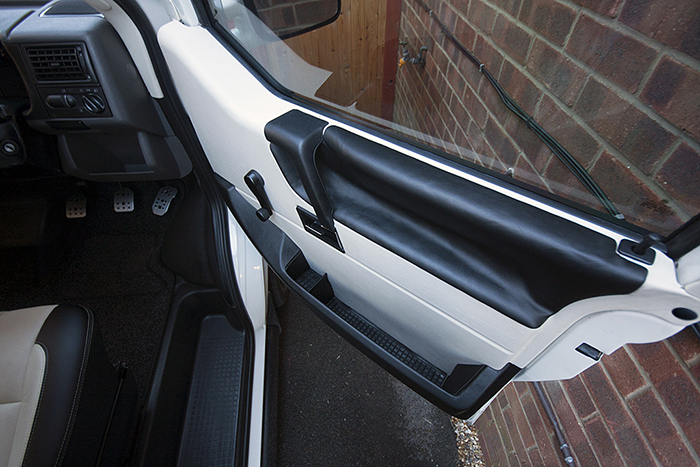 After some thought, I solved this by cut­ting a slot into the edge of the door card, one at the front and one at the back, this only goes up to the door pock­et, I then wrapped the vinyl around the back to give a smooth join which will not peel off in time. This method will only work if you have a door pock­et though. This is illus­trat­ed in the image below, the vinyl at this stage need­ed rub­bing on a bit more so looks a bit lumpy. The door pock­ets were removed from the door card and wrapped sep­a­rate­ly. 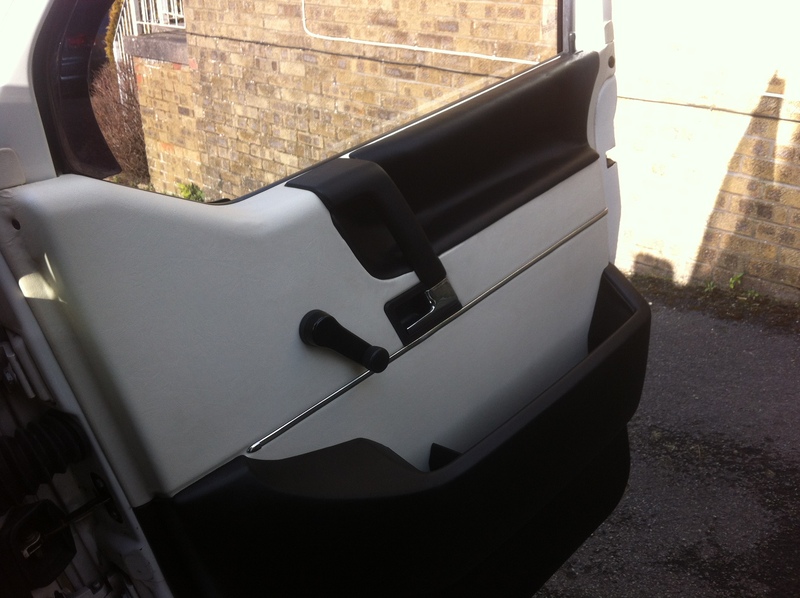 Door card with chrome strip added. 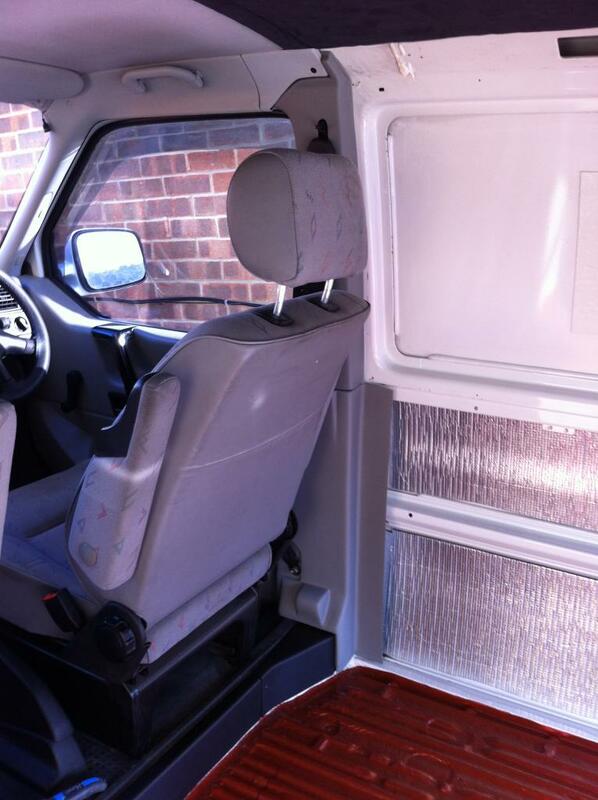 As well as the door cards, I applied the ivory vinyl to the remain­ing plas­tic trim, this ensured the same style was car­ried through­out the van. The Trimtech plas­tic trim was a lot eas­i­er to cov­er than the door cards and the full fur­ni­ture unit was also cov­ered in the same. Vinyl used through­out the con­ver­sion. The one thing I did not cov­er in vinyl was the dash­board, the con­tours of this I find to be just too vary­ing for vinyl to work. At the moment the dash­board is paint­ed black, but I have plans for the spare one I have at home which involves Wicked Coat­ings in Poole and a padded fin­ish so watch this space.